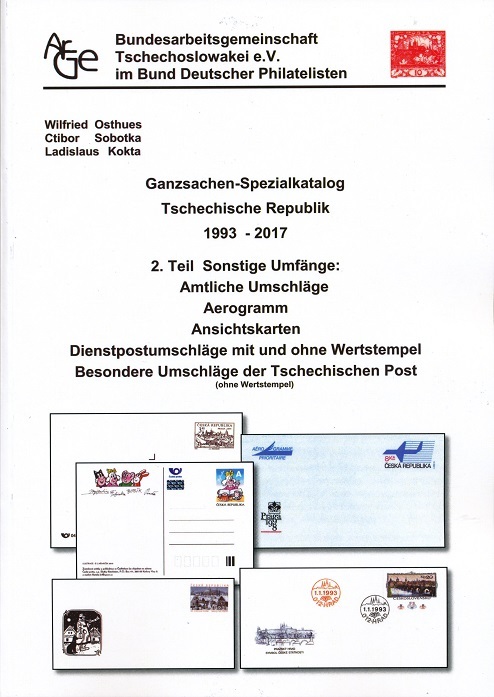 If existing, corresponding special cancellations are shown with the stationery. Moreover, printing and plate errors are mentioned. For the first time congratulation and invitation cards are catalogued with the postal service covers. Part 1 costs 195 euros, part 2 49 euros. Both parts together are available for 229 euros. ArGe Members are entitled to a discount price of 175, 43, and 218 euros respectively. The prices do not include shipping. The catalogues can be ordered from the department of literature. 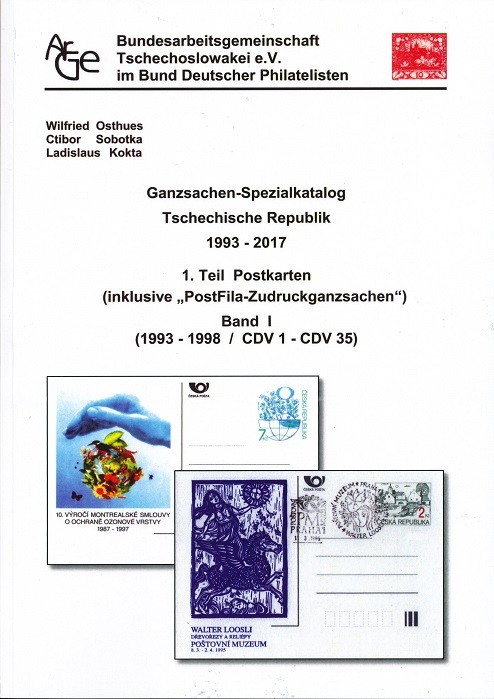 Various personalized sheetlets issued by the Czech Post on the occasion of annual meetings are still available. They can be ordered from the chairman Hartmut Liebermann.